These one-piece (i.e. 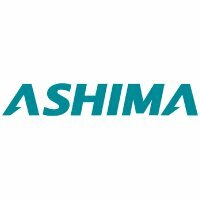 non cartridge) pads let you enjoy Ashima advanced brake block technology at a lower price. The braking compound has real bite whether it's wet or dry. Funky grey / salmon / grey colourway. It's scored with water-removal channels. Each brake block is supplied with 6 washers to assist optimal set up. Limit lines alert you when it's time to replace your Ashima One-Piece V-Brake pads. Fits Shimano and all other major V-brakes.